How Much Wind Can You Expect in the Windy City? March is a great time to visit the Windy City. With winter chills starting to subside, it is the time when locals stop hibernating and start venturing out again. Aside from the weather, what else motivates most people to pack their social calendars again is the coming of St. Patrick's Day. 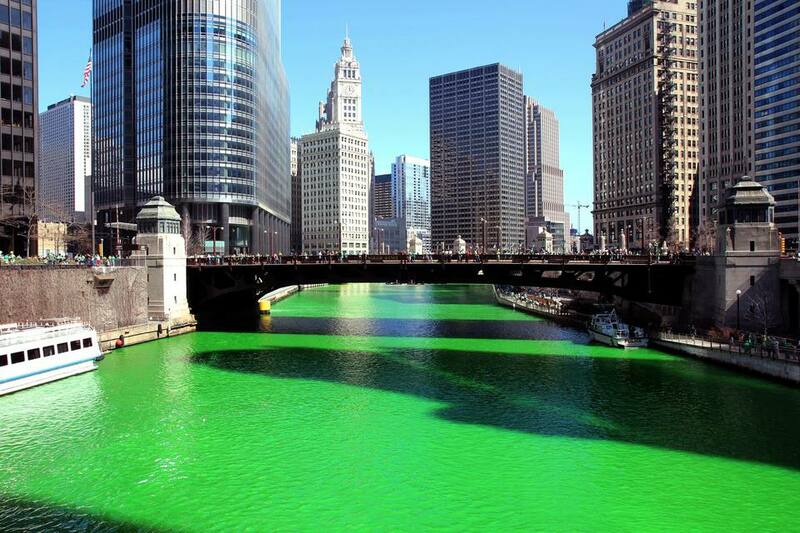 While the holiday falls on March 17th, it is celebrated in Chicago for approximately two weeks, beginning with the famous dyeing of the Chicago River to - what else - emerald green each year. With two parades, the Downtown St. Patrick’s Day Parade and South Side St. Patrick’s Day Parade, the celebration of patron saint of Ireland is incredibly popular, so you should be aware that it can result in inflated hotel, airfare, and area prices, as well as major crowding all over the city, and especially downtown. If you plan on skipping the St. Patrick's Day celebrations, there are several other notable events that occur in Chicago this month, including the Chicagoland Flower and Garden Show, the Geneva Film Festival, and the Good Food Festival. It is also national noodle month, and there is no shortage of great bowls of ramen in the city. So, no matter what brings you to Chicago in early spring, here's what you need to know before you go. While milder than January and February, the temperatures in March can be downright cold. Packing layers of winter clothing is definitely a must, but you should also bring a few short-sleeved shirts in case of warmer weather. A scarf, hat, gloves, warm winter coat are essential. Comfortable walking shoes are also required for exploring the city but don't fret if you forget a few essentials as the Chicagoland area shopping malls have everything you need to make your stay pleasant. The Geneva Film Festival is popular with indie film buffs. Taking place about an hour inland of Chicago in Geneva, Illinois, the festival screens a wide variety of both short and feature-length independent films from local as well as international filmmakers. Started in 1847 as an exhibition of prized fruits and flowers, the Chicagoland Flower and Garden Show is all about inspiring, educating, and motivating the next generation of gardeners, and showcasing the greener side of Chicago. The Midwest’s premier event for local and sustainable food is the Good Food Festival. This annual expo invites farmers, food producers, investors, trade buyers, policy makers, activists, families, and food lovers, and more to join together over three dynamic days and connect with others active in the Good Food community. If you can brave the cold, join over 5,000 fundraisers who wade into the cold waters of Lake Michigan each March to support charity at the Chicago Polar Plunge. Or, you can stay dry and watch from shore.